Google Poised To Launch Same-Day Delivery Service - Of Anything. Google, you've always been a friend in times of need. Not only do you have the address for brunch, but you'll tell me how to get there, what's on the menu, and even the weather report so that I can make an informed decision about these boots. But when I spill my second mimosa, run out of detergent, and forgot to buy my friend a birthday present, where the hell are you now? Not surprisingly, Google's on it. Some very lucky people in the San Francisco Bay Area are discovering that Google is already gearing up to provide us with pretty much everything, whenever we need it. (AKA, World Takeover, Step 42.) 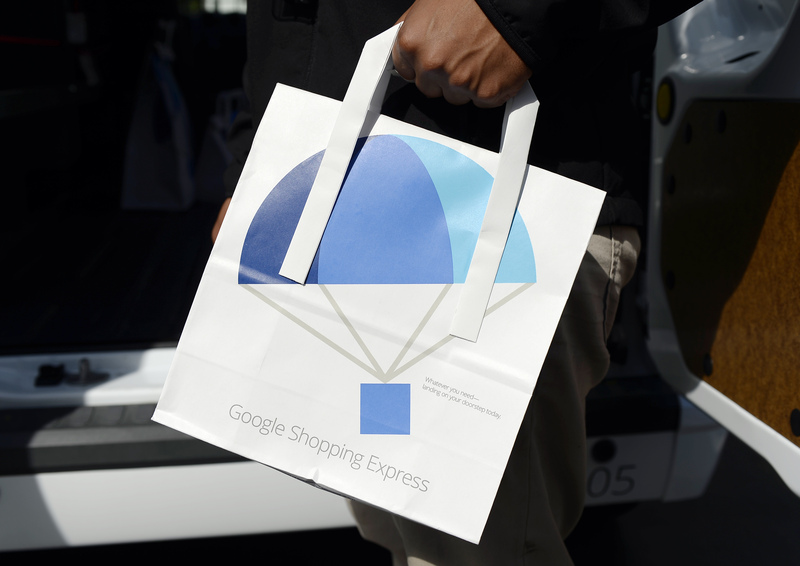 Google Shopping Express service, currently undergoing trials in the Bay Area, will provide same-day delivery service for a huge range of products. To do this, the new world order has partnered with Target, Walgreens, American Eagle, Office Depot and Toys"R"Us, just to name a few. "Browse local stores online in one place!" exclaims its pilot website. "Live life on your schedule!" So far, Google's selling everything but food - but, according to Slate, that's in the works too. In the meantime, Amazon Fresh, a fresh-food delivery service in the style of Peapod and Gopher Grocery, is chiming in to be heard. Amazon Fresh, like Google Shopping Express at present, is a Seattle-based pilot program partnering with supermarkets, bakeries, and seafood stores for delivery. Of course Wal-mart won't let itself be left out of: he mix it's piloting Wal-mart To Go, a - you guessed it - same-day delivery service in a number of states. So, yeah: Google and Amazon are slowly taking over the world, but at least you probably won't have to leave the house for it.